from lightning strikes and surges. During producing, processing, storing and transporting flammable substances (e.g. fuel, alcohol, liquid gas, explosive dusts), potentially explosive atmospheres where no ignition sources may be present to prevent explosion frequently occur in chemical and petrochemical industrial plants. The relevant safety regulations describe the risk for such plants posed by atmospheric discharges (lightning strikes). In this context, it must be observed that there is a risk of re and explosion resulting from direct or indirect lightning discharge since in some cases these plants are widely distributed. To ensure the required plant availability and safety, a conceptual procedure is required to protect parts of electrical and electronic installations of process plants from lightning currents and surges. 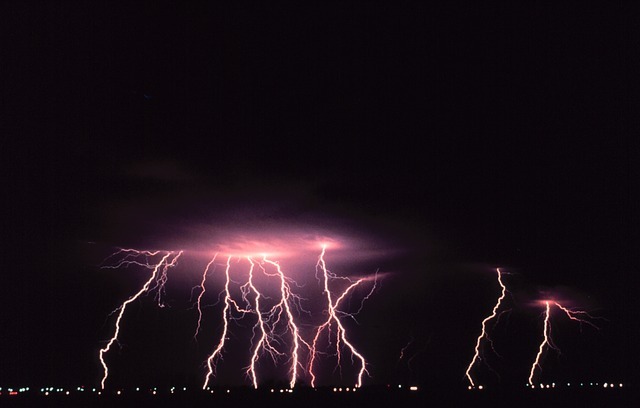 The white paper below, provided by DEHN, provides an in-depth strategy on plant protection and safety from lightning strikes and surges in hazardous areas. Lightning and Surge Protection for Potentially Explosive Atmospheres from Instrument Specialties, Inc.